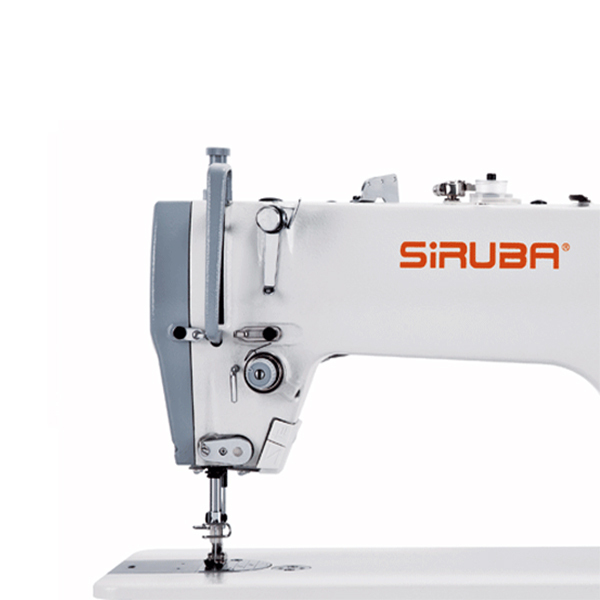 The Siruba DL7200 is a Single Needle, Lockstitch, Straight Stitch, Drop Feed w/Reverse, Medium to Heavy Material, 4000 spm (Depending on fabric) Industrial Sewing Machine. Energy efficient, Lower power consumption. Applied with rotary trimming mechanism, the trimming result is perfect. 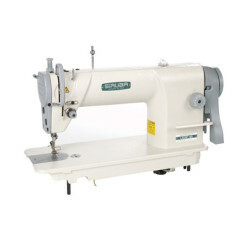 It reduces the consumption thread, decreases the frequency of bobbin changing, and increases sewing efficiency. The optimum and elegant machine head was created, using the latest sewing mechanisms in order to achieve low-tension sewing. 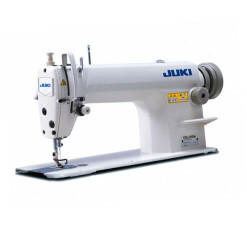 The machine flexibly responds to a wide range of materials and produces beautiful seams of steady quality. Adopts the built-in reverse feeding solenoid, noise is soft, maintenance is easy, and strengthens durability of the machine. 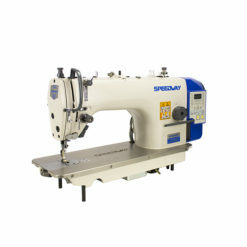 Mini direct drive servo motor system provides quick start sewing, precise positioning, low noise, and no belt dust. Safety switch Stops running when the machine is tilted to ensure safety. Working space is wide for moving sewing material. Low power consumption, it saves 35% energy against V-belt driving. 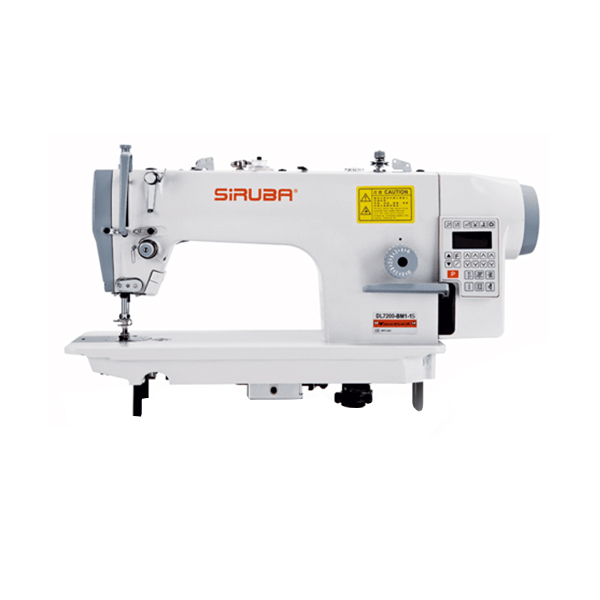 Auto-lubrication ensures the mechanism’s durability in high speed. [Optional] Stainless steel sewing bed. 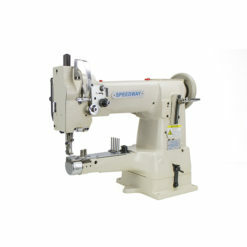 Rotary thread trimmer is applicable to various type of thread. 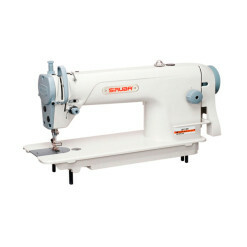 Equipped with electric thread nipper. 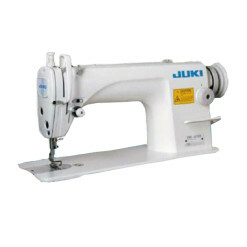 Half-stitch key is set above the reverse key for easy using. 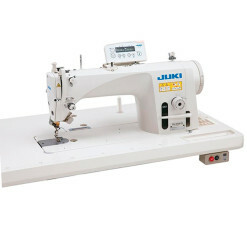 Maximum stitch length is up to 4 stitch/ inch.